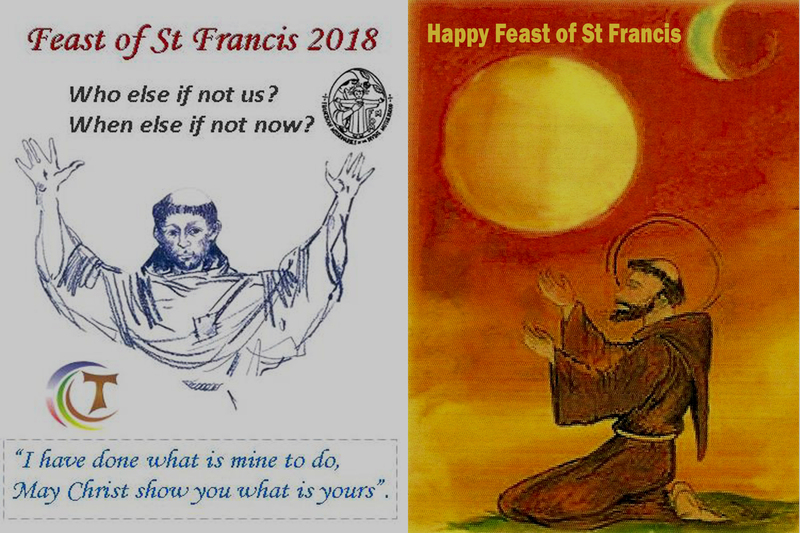 A very Happy Feast Day to all Franciscans, sisters, relatives, Associates, staff and friend. 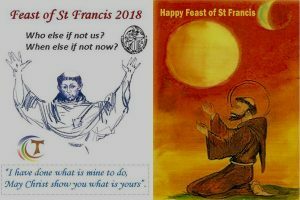 We give thanks for the universal message of the Franciscan charism. Bless all who share our Mission of bringing peace, healing and reconciliation to all we encounter. We pray in thanksgiving for the sisters in the communities with the name ‘St Francis’ in Ladywell Convent, Rathfarnham, Ballinasloe and Drogheda in Ireland, Kasanka in Zambia, Yola in Nigeria, Singapore, and Ipoh. May the spirit of our Holy Father Francis permeate their lives, their communities and their ministries.